At world's end, 98% of the population has suddenly disappeared. Two boys with extraordinary powers gather the last survivors to find clues to the vanishing, while fending off mutations: giant lizard, spiders and other creatures are battling for the remaining food supply, with the humans caught in the middle. Sam was born with powers over electricity, and Bohai can communicate with certain creatures, including birds. To save the world, they must race against the evils of men and beasts alike, while a band of psychopaths stands in their way. 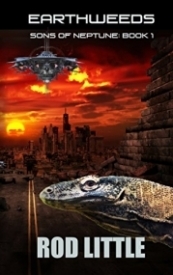 A gripping post-apocalyptic Sci-Fi thriller, fast-paced and intensely compelling.